No, you’re not looking at the new Batmobile. This is an actual car being produced by Local Motors. This first time we heard about the new US automaker on the block, Local Motors, was when their Rally Fighter took to the Lime Rock Park racetrack in Connecticut. Powered by a General Motors E-Rod V8, the machine was an undeniable beast. Now, Local Motors is in the headlines again with even bigger news for the automotive industry. 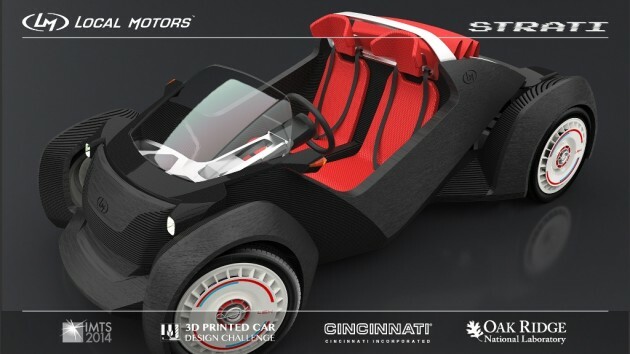 As the most-anticipated attraction at this year’s International Manufacturing Technology Show in Chigago, Local Motors is live printing the world’s first 3D printed car, the Strati, this week. While 3D printing is still considered new technology, its use and advancement has already spread like wildfire, from household power tools to medical prosthetics. Now, consider how many tiny parts go into building the car you own. Tens of thousands, right? What if your car only had 40 parts? And imagine you could make it yourself! That’s what Local Motors is attempting to accomplish this week with the construction of their 3D printed car, the Strati. 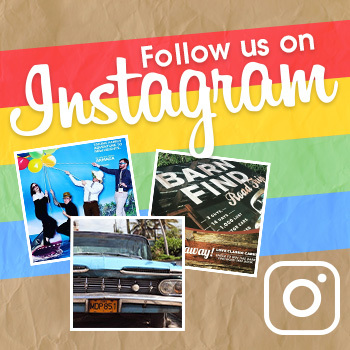 The design being used was selected from more than 200 submitted concepts, the winner being selected back in June. Conceptualized by Michele Anoé of Italy, the Strati is currently in the prototype phases but the confidence of Local Motors gives the impression that, if successful, the schematics will be available to consumers in the coming months. After 44 hours of printing and another two days of assembly, you’ll have a new car. And with a 3D printer, you can replicate the process yourself in your own garage. The Future of Automobile Production? 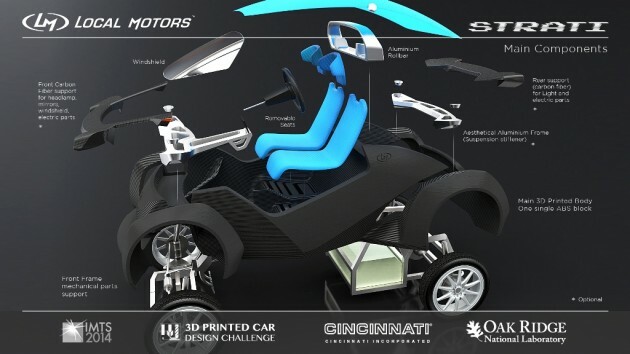 What’s being printed by Local Motors isn’t just a shell of a 3D printed car. The complete skeleton of the Strati, including the body and the chassis, will be produced via Oak Ridge’s 3D printing booths. One of its innovations is the internal strut frame that uses vertical struts to support upper surfaces, creating a sturdy frame with lighter weight. Other features include a retractable roof and removable seats. The remaining pieces, like the wheels and engine, will be provided by third party auto parts distributors. While most of us can agree that 3D printed cars are an entirely different method of production, things like safety, driveability, fuel economy, and endurance have yet to be seen. Sure, building your own car could be a novel topic for bragging at parties, but in the long run, is this a car you actually want? We’ll see when the historic first drive of the Strati takes place Saturday morning, September 13th. NEW Footage: The first 3D printed car actually runs! Video courtesy of Local Motors.